Two is always better than one-- as in monk straps. 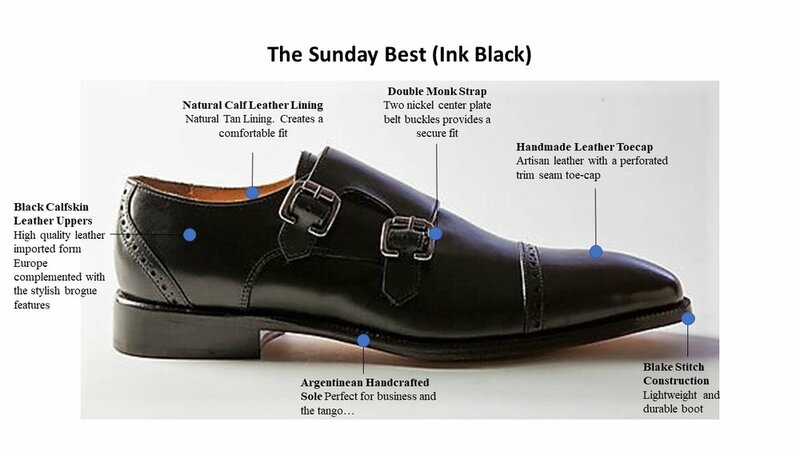 The duo strap and captoe add an extra detail not just for Sunday services but every day of the week. This is a wardrobe staple in a choice of two rich shades-- butterscotch tan or midnight black. We encourage you to follow the instructions. We want your shoes to be perfect and recommend that you measure to make your delivery a fantastic experience. We are availabel Monday thru Friday 9am to 4pm, to service you.